HONG KONG, CHINA--(Marketwired - Mar 1, 2014) - Reliance Globalcom today announced the appointment of Lorain Wong as Chief Marketing Officer of its three offshore businesses, comprising FLAG, Yipes and Vanco. 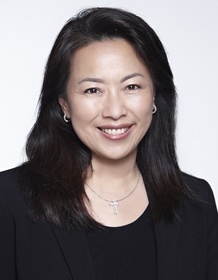 Ms Wong joins the company with over 25 years of marketing, communications and media experience, most recently as Vice President of Global PR, Corporate and Internal Communications at HTC. Earlier she served nine years as Senior Vice President of Marketing and Communications at Pacnet where she established and built the company's corporate identity across Asia Pacific, leading to key industry recognitions. "Lorain's extensive experience in marketing and communications within our industry will be an asset to the company as we continue to grow and expand globally," said Bill Barney, CEO, Reliance Globalcom." Ms. Wong also served as head of marketing and communications for Qwest Asia and Global One Asia Pacific. Her earlier roles include Director of Partnership Marketing and Director of Communications for AT&T Global Consumer Services in Southern California. Ms. Wong began her career in television news and has produced and reported for a number of ABC and CBS affiliates in the United States. She has a degree in Journalism from the University of Texas at Austin, where she also pursued graduate studies in media law. Reliance Globalcom brings together the synergies of Reliance Communications Global Business encompassing Capacity Sales, Managed Services and a portfolio of products & services comprising of Global Voice, Internet Solutions and Value Added Services. Reliance Globalcom owns the world's largest private undersea cable system spanning 65,000 kms seamlessly integrated with Reliance Communications over 190,000 kms of domestic optic fiber provides a robust Global Service Delivery Platform connecting 40 key business markets globally. In addition, the company's global VPLS enabled Ethernet network capability serves India, the United States, Europe, Middle East and the Asia Pacific region. It has also acquired Vanco Group, enabling the company to provide Managed Services to over 230 countries and territories across the globe.